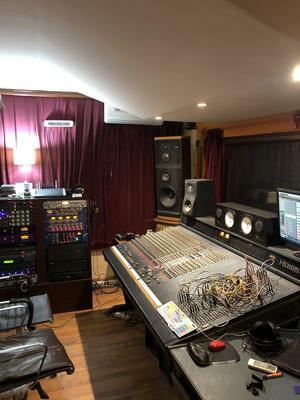 This console was acquired in 2007 in Buenos Aires (Argentina) belonged to a study that was dismantled, today is installed in the studio A of El Omburecods, Montevideo, Uruguay, It is the year 1991, we are the second owners, soon we will add 3 new HX10 modules. Join in and write your own page! It's easy to do. How? Simply click here to return to AMEK HENDRIX Recording Console.